The Judicial Panel on Multidistrict Litigation has recently approved a motion to consolidate federal lawsuits filed against Pfizer Inc. due to Lipitor side effects. 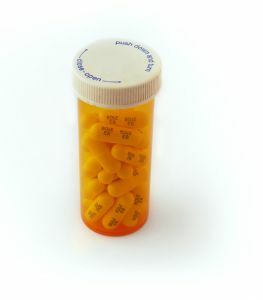 Lipitor is a widely-prescribed drug that was marketed to patients as a means of lowering cholesterol. Unfortunately, the drug has been linked to the development of Type 2 diabetes and patients who developed diabetes have sued the drug manufacturer. The Judicial Panel On Multidistrict Litigation (JPML) has approved the consolidation of the cases before the Honorable Judge Richard M. Gergel, who is already presiding over 27 Lipitor cases. The Judge’s experience in hearing Lipitor cases over the course of the past year has prepared him to manage the mass tort litigation that the approved motion creates. Plaintiffs pursing claims against Pfizer Inc. may now have their own claims resolved as part of the multidistrict litigation (MDL) if their suits are filed in federal court. An experienced Boston defective drug lawyer should be consulted by patients interested in pursuing a claim based on Lipitor complications as your attorney can help you to determine if joining the MDL is right for you. Lipitor is a cholesterol-lowering statin that contains the active ingredient atorvastatin. Patients who took the medication were promised that the drug would lower their dangerous cholesterol levels but were not warned that the medication could elevate blood sugar levels and increase the risk of Type 2 diabetes. Plaintiffs allege that Pfizer was aware of the link to diabetes as far back as 1996 but did not alert the public to the dangers of the drug. The FDA did not take action to ensure the public was told of Lipitor’s risks until 2012, and only took steps to warn consumers after large-scale studies revealed the high risk of the drug. One such study, published in January of 2012, involved 161,808 postmenopausal women between the ages of 50 and 79. These women were being treated at 40 different clinical centers throughout the United States. The study found that postmenopausal women taking statin drugs of all types experienced a 50-percent greater risk of diabetes as compared with women not on the drug. Patients who had used statins and who had developed Type 2 diabetes began to file lawsuits against Pfizer, and a motion to consolidate the claims was made after several suits had been filed. Initially, the motion was denied because just five suits were pending and because almost half of the pending cases were proceeding in the same U.S. District Court already. Pfizer had indicated a willingness to coordinate pre-trial proceeding for the remaining cases. However, the number of lawsuits grew and the JPML now approved the creation of a multidistrict litigation in South Carolina. More than 56 different federal lawsuits are already ongoing, and the creation of the MDL will make it easier for these and future claims against Pfizer to be processed in a more efficient and timely manner.